We offer our menus to go, but do not offer offsite catering. ***Easter Sunday 4/21/19*** We will be open for dining from 11am until 8pm, serving a menu featuring light brunch and heavy dinner entree options along with sides and appetizers until 3pm, at which point we will switch to our full dinner entree menu until 8pm. Hope to see you then!!! 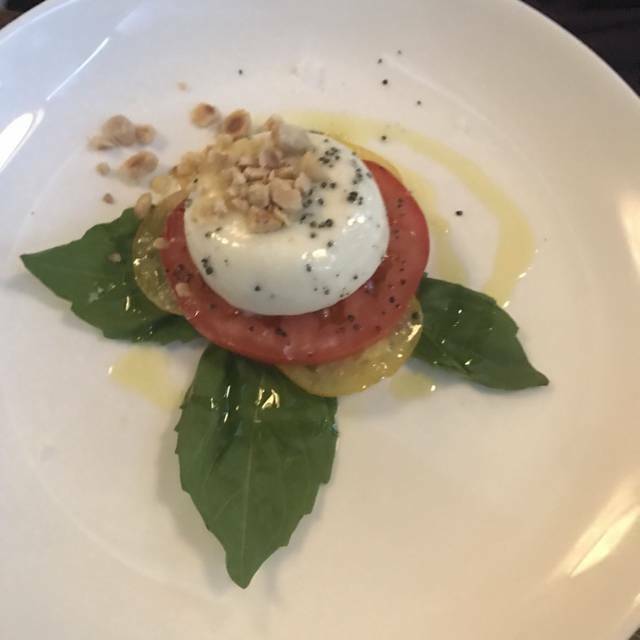 Established in 2001, The Tasting Room restaurant and wine bar has earned a reputation as a modern American force in the Frederick area. Combining the essence of Frederick and the modern styles of New York, The Tasting Room provides diners with an experience to remember. Situated in the heart of Frederick's historic district, The Tasting Room captures the energy of Market St. with floor to ceiling windows and a 180˚ panoramic view. Fresh local ingredients and unwavering consistency have been the benchmarks for this ultra-successful Michael Tauraso establishment. Though I typically get the Swordfish, it wasn’t on the menu that night so I went ahead with dish #2, the Fillet Mignon and was not disappointed. Cooked perfectly, I Imagine it is one of the best in the Frederick area. The price was a bit high at $50 a person but it was an amazing meal. You have to try the Crab Dip! Tasting room is one of only four top notch dining locations in Frederick that truly rank top tier and the only one open on Monday. 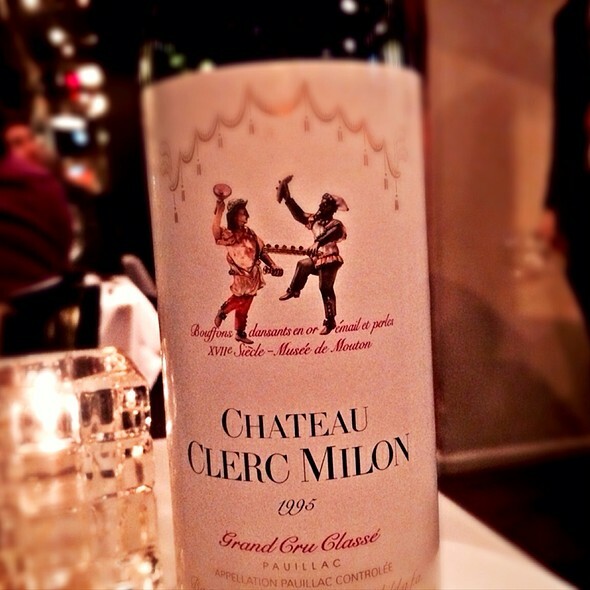 Food, service, and wine are excellent. Ding area is small and tables are close. Noise levels can reach loud if you land next to a large corporate group. I live in Washington DC but find myself spending the night in Frederick a couple of times a month. The Tasting Room had for a couple of years been my favorite restaurant - but I think it's really gone downhill. The quality of the food is greatly diminished -- it's still decent, but it's bland and dramatically overpriced, and I get the impression that the restaurant is kind of coasting on its reputation. I used to love the tuna tartare, but now it's mostly avocado. The beef carpaccio is just awful - tiny little shreds of beef on dry toast with a bit of arugula plopped artlessly on top. The brussels sprouts side dish - one of the only vegetables on the menu - is greasy and full of meat. So if you're looking for something light, flavorful and healthful, this restaurant really has nothing to offer you. However - the cocktails in this place are fantastic and just keep getting better. I will always keep going back for those! The drinks are the reason for the 4-star rating. Otherwise it would be a 2! My husband and I don't live in Frederick, so for us the Tasting Room is more of a celebratory dining experience. And this last visit was no different. It was my birthday and the staff couldn't have been more accommodating, or pleasant. My meal was absolutely delicious. Although it was just a filet, it was melt in your mouth amazing. Paired with an excellent wine and great company, the evening made my day. I would recommend to a friend for a higher priced lunch venue. It is a little pricey, however, I feel for the service, food, atmosphere, it is a reasonable value. We’ve been visiting The Tasting Room for the past five years on a regular basis, traveling from Harrisburg, PA, in search of good restaurant’s experiences: The Tasting Room hardly ever disappoints and often surprises us in a very positive way. Our party of 6 friends, all from northern Maryland or West Virginia, met for lunch at The Tasting Room on a Saturday and we could not have had a better experience. My partner and I had dined there a couple of years ago and really enjoyed the food, but we don't live in Frederick and took a chance in recommending it as we didn't know if it had changed hands. We had a perfect get-together. The service was excellent and we were given a table in the back of the restaurant where we had a little more privacy and it was quieter, although the general noise level was not nearly as bad as many places are today. All of our meals were delicious, and the presentation on each was lovely. Two of us had the crispy chicken sandwich, one had the steak salad, one had the shrimp and grits, I had the salmon cakes, and the other person had a large mixed salad. I would happily have eaten any of them. The salmon cakes - which you don't often find on menus - were the lightest, most delicious I've ever had, including my mother's! The steak alongside the spinach salad was perfectly cooked and tender. We even all had dessert and all of those were incredibly good: dark chocolate sorbet, blackberry cheesecake, carrot cake, and the flourless chocolate cake. Again, care was given to beautiful presentations. Congratulations to the management and staff for a delightful experience. We will make a special trip to The Tasting Room again soon! Excellent as always, service was exceptional this time. Food came out perfectly: pork chop, fillet mignon, Ceaser salads, and oy vey (duck liver). Noise level a little higher just because of a table next to us (dinner party of out of town millennials). Actually did brunch on Sunday for the second week in a row and it didn't disappoint. Meghan makes the best lemon drop martini's on the planet and the food was perfect (crab and asparagus omelet, french onion soup and side house salads). Highly recommend. We sat at a high top table near the bar for a great view of Market street and probably a quieter experience then the main dining room. Great food great atmosphere !! One of downtowns best !! Spanish Shrimp, the duck and the filet mignon were scrumptious! The food was very good but very pricey for what we ordered. Portions were not very large, but what we had was very good. Spent 130 and left hungry because the food portions are extremely to small. I spent 45 dollars on 4 lamb chops meat was the width of a half dollar. I got three pieces of asparagus as a side. What’s up with that?? Great quality and service every time!! Excellent food and service to match! 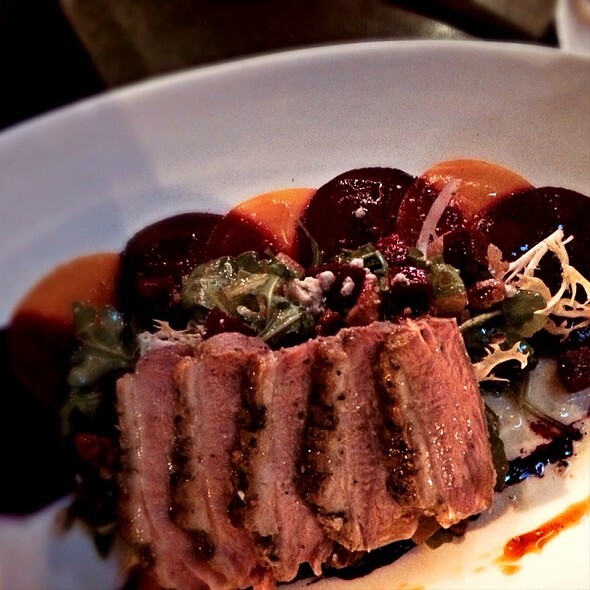 Always a great meal at The Tasting Room. The new French onion soup was very good and just the perfect start to lunch. 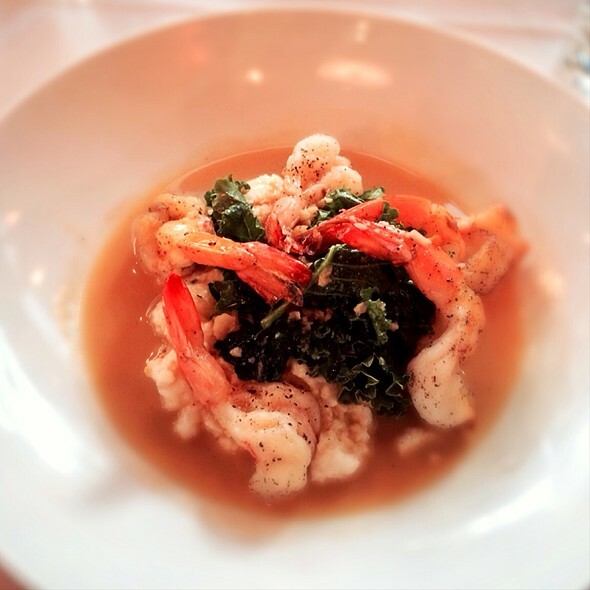 The shrimp and grits are among the best I’ve ever had including in New Orleans. I only wish they were available on the dinner menu. Service was exceptional as it always is. We are frequent customers at The Tasting Room. This occasion was for my sons 18th birthday. It was excellent as usual! We took our daughter to the Tasting Room (our family’s favorite restaurant in Frederick!). We had a great table, excellent service, and as usual a fantastic meal. The shrimp scampi appetizer was delicious, and my daughter’s favorite filet and potatoes was great. Thank you! 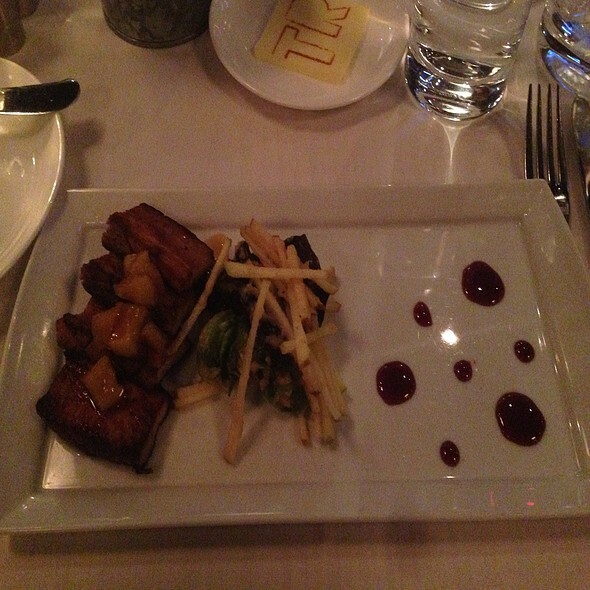 A well paced and helpful dining experience was provided by Cynthia and her trainee in clean, contemporary elegance. The Lobster chowder was stellar and Beef Carpaccio, Filet Mignon, Pork Chop and Carrot Cake were perfection. We chose this place for our anniversary and we were not disappointed. As soon as we sat down we were greeted with a happy anniversary and a small glass of champagne. The waiter was very knowledgeable and suggested many of the outstanding items we tried. The food, especially the filet mignon, was great. I would recommend this place for its great food, service and ambiance. The best filet mignon ever. Blown away. Friendly staff, quick service, everything we had was remarkable. We enjoyed our dinners. The food and service is always great. We went for a birthday brunch at 11:15am. There was only 1 other table filled. It was very quiet and the four of us got to talk with yelling at each other. We tried 2 appetizers, both were exceptional. Everyone got something different and we were all very satisfied. We were all so full from the appetizers three of us brought home a bag. Drinks were great. We all enjoyed ourselves and will definitely go back. White tableclothes, candles. Great for a special evening. The wait staff was very attentive too. Food and service were amazing!! Tables are very close together and noise level is very high. The Tasting Room is one of the best restaurants in Frederick MD. I have dined there many times, and the the food is awlays wonderfully prepared. 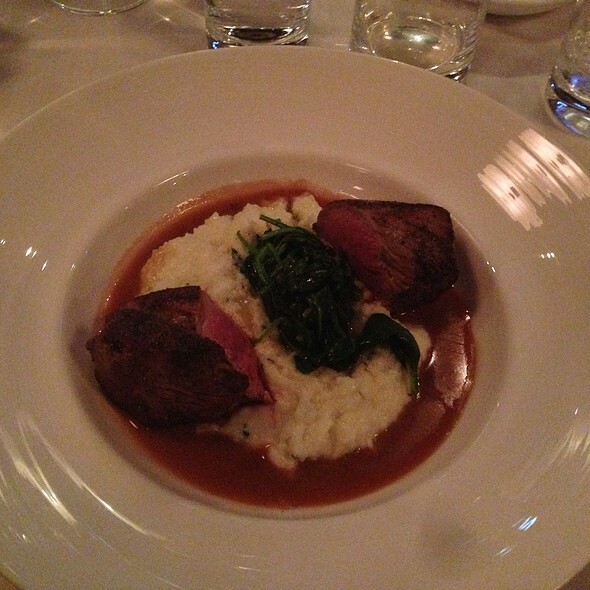 The Filet Mignon is one of the best I have ever had, and the Beef Carpaccio is awesome as an appetizer. One of my guests had the Rack of Lamb, and another the Scallops.....no one was disappointed. However, my only issue was the service. The young waitress was very friendly and prompt, but did not have the skills I normally expect from staff at the Tasting Room. This is not an inexpensive place to dine, and I expect the service at a level commensurate with the food. I am hoping this was a one time issue. In any case, I fully recommend this establishment! 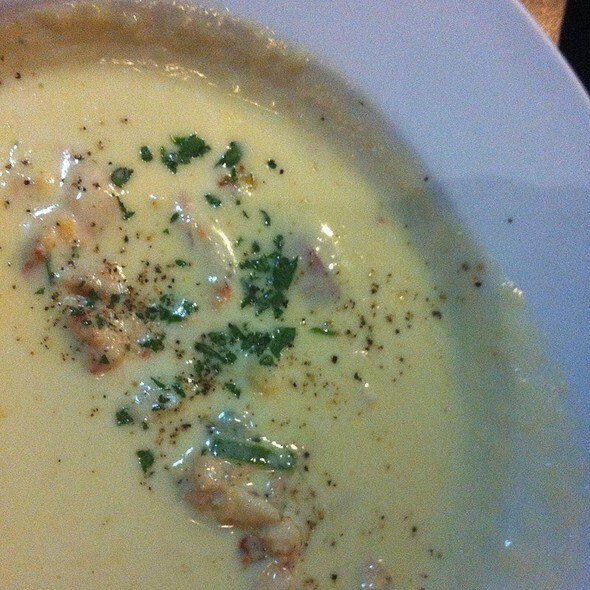 We each got the lobster chowder, it is the best I've ever had. The beef carpaccio was so perfect and I appreciate the ample crunchy bread that comes with it. My husband raved about his monkfish. 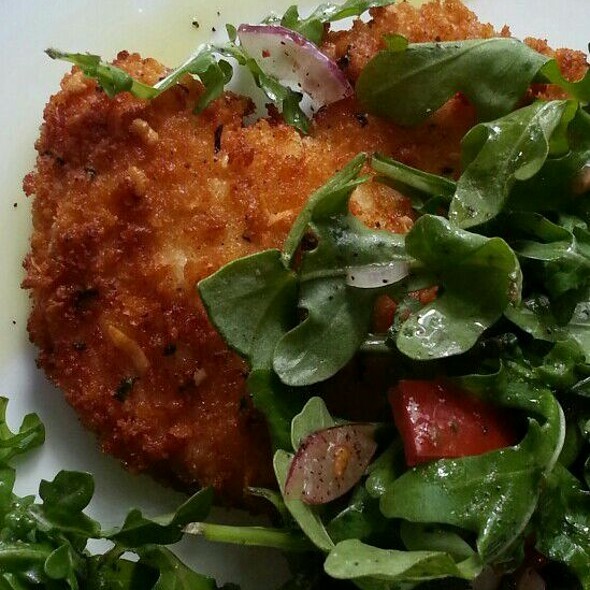 The Tasting Room is maintaining the high quality dishes that we love! I have brought business customers here often, always a hit always good food. One of the best restaurants in Frederick. 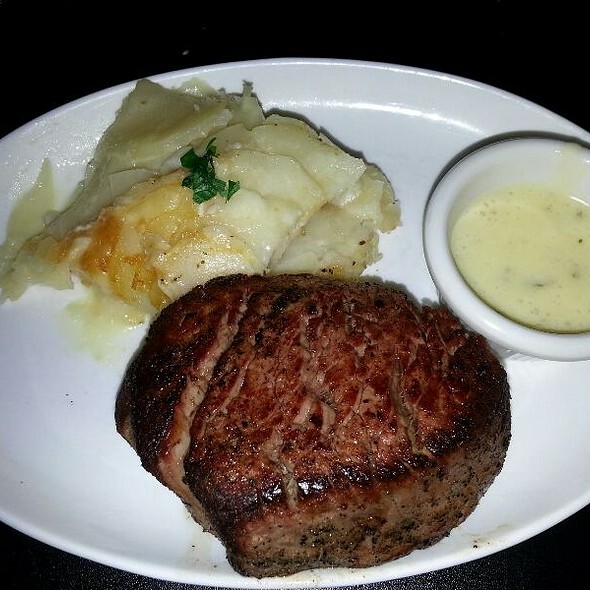 Try the Filet Mignon with small potatoes, & the muscles which are out of this world! Forget the Escargot, it's not done the traditional way (in the shell with a butter, finely chopped parsley & minced garlic in the butter) so if you like it the way it's served in Europe, you won't get it here. But for a special occasion, this is a nice upscale eatery. My rating on noise is accurate. I would suggest that the establishment hang some large 4' x 8' cork sound deadening material from the very high ceiling (they do have several large horizontally placed pieces of cloth but they need more). Still, you won't be disappointed if you go! Overall, it was wonderful. This was our first visit to the Tasting Room. It was a Saturday night (so very crowded) but we had a reservation (which I highly recommend anytime but definitely on a weekend). The food was amazing! I had the New York Strip and my husband got the Salmon. I could only eat half my steak so I had a very nice lunch the following day! The steak was simply amazing. I don't know what they did to it but it was tender and delicious! I asked for it medium and it was the perfect pink in the middle. I will definitely come back for another dinner. It is pricey. I did think the cheese plate appetizer was a bit expensive for what you got but still quite delicious. Great meal, great ambience! The staff listened to my request on Open Table and gave us a quiet table near a window. We sat in the back of the restaurant at a window facing the side street (Church Street). Simply perfect! Can't wait to visit again!